Northrop Grumman has introduced the first MQ-4C broad area maritime surveillance unmanned aircraft system (BAMS UAS) for the US Navy at its facility in Palmdale, California, US. Formally named Triton, the MQ-4C BAMS UAS will provide persistent surveillance for the Maritime Patrol and Reconnaissance Force (MPRF) to carry littoral strike missions. 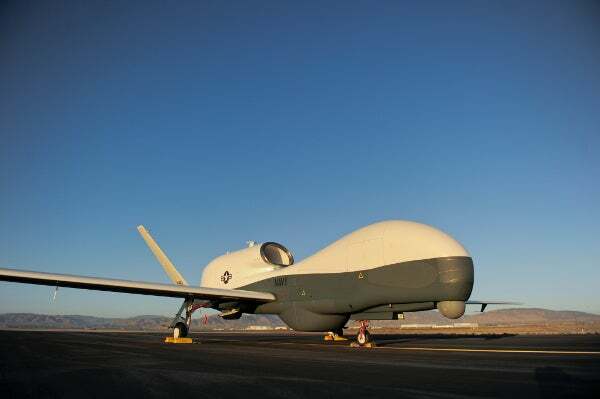 Duke Dufresne, Northrop Grumman Aerospace Systems sector vice president and general manager for unmanned systems, said that the MQ-4C Triton UAS was a BAMS UAS programme’s key element that represents the future of naval aviation and a strategic element of the US Navy. "The BAMS UAS programme will revolutionise persistent maritime intelligence, surveillance and reconnaissance," Dufresne said. Unmanned aviation and strike weapons programme executive officer rear admiral Bill Shannon added: "Their efforts will enable the BAMS system to provide the fleet a game-changing persistent maritime and littoral intelligence, surveillance and reconnaissance capability." The naval version of the US Air Force’s RQ-4 Global Hawk aircraft, the MQ-4C BAMS UAS has been designed to conduct maritime surveillance, gather enemy battle information, carry out battle damage assessment and port surveillance missions. "Their efforts will enable the BAMS system to provide the fleet a game-changing persistent maritime and littoral intelligence, surveillance and reconnaissance capability." The BAMS UAS provides reliable intelligence information about potential maritime surface threats for the military commanders to efficiently patrol a wide range of open ocean and littoral regions. The navy is planning to buy nearly $12bn worth of MQ-4Cs, including five test aircraft, while the first MQ-4C aircraft is expected to be operational in 2015. The programme is managed by the Navy’s program executive office (unmanned aviation and strike weapons) and the persistent maritime unmanned aircraft systems program office. The US Navy’s Fifth Fleet is currently using Northrop-built Block 10 RQ-4 BAMS demonstrator, equipped with maritime sensors, which provides full persistent capabilities glimpse of the Triton’s 360° multi-function active sensor (MFAS) radar. Image: US Navy’s first MQ-4C BAMS UAS. Photo: Northrop Grumman photos by Alan Radecki.